The Yayla is the name given to the summer pastures in the high Taurus mountains in Southern Turkey. In the 12th century, Turkic nomads made their way to these pastures, driven from Central Asia by Ghenghis Khan. 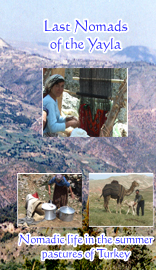 The film shows the way of life in the Yayla, as the nomads milk their goats, make cheese, care for their camels, spin, weave and cook. 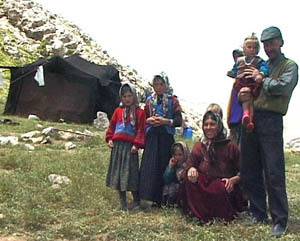 The traditional Black Tent is shown in detail as well as cave and stone dwellings.